Culture of peace and conflict resolution are new phrases that Bolivians can use to avoid going to court. With the implementation of the new moral codes as of August 6, it is also the expression of the mediators, whose job is to reduce the caseload in the courts for civil and commercial matters. After selection by the Judicial Council, the mediators train for a period of 20 days. Courses in which mediators learn how to solve conflicts. In four classrooms at Casa Tréveris, over 150 mediators receive theoretical training and practice in the functions that will serve beginning next month. “The intensive course is organized into four modules: the first related to justice and human rights, the second dedicated to the culture of peace, conflict theory as a basis for negotiation and conciliation; the third communication and conciliation; and the fourth refers to the process of reconciliation taking into account the principles, models and phases of the facilitative model,” according to Antonio Aramayo, executive director of the UNIR Foundation, the institution in charge of the mediation training. The new officers are trained in the instruments that will need to apply when they are to reconcile conflicts when the new Codes Morales take effect in August. The Judiciary Act indicates that the mediation is “the means of conflict resolution and immediate direct access to justice as well as the first procedural action”. In other words, the judicial mediation aims not only to expand access to justice but to introduce the culture of peace and peaceful methods of settling conflicts to shared solutions. “The culture of peace is a breakthrough in the country and now we are implementing the new codes in practice for the resolution of disputes through conciliation. This is good, creating a culture of peace and a country not of confrontation, but of rapid resolution of conflicts,” said Patricia Yufra, from the mediation district of Quillacollo (Cochabamba). 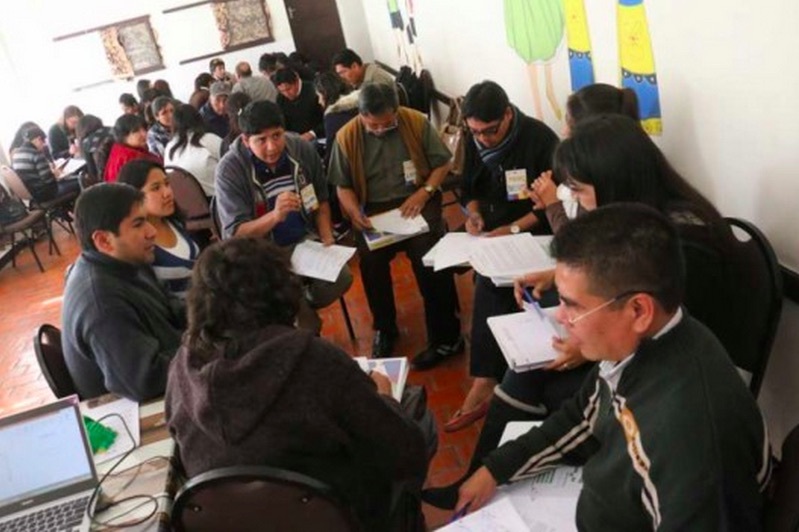 “We are learning how to reconcile, to look beyond the law, to analyze problems so that they (people in conflict) can resolve their conflicts and disputes peacefully and maintain their human relationships,” said Erick Suarez, Santa Cruz conciliator. These two professional lawyers are, like many others, being trained and expected to return to their districts on August 7 to start their work.